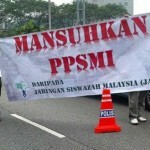 Is abolishing PPSMI not the answer? We read with interest the article entitled “Abolishing PPSMI is not the answer” by Datin Noor Azimah Abdul Rahim (September 10, 2012), in particular, the fallacious arguments made in the name of science policy. Before going into the details of the argument, it is best to remind oneself what the term “PPSMI” means Pengajaran dan Pembelajaran Sains dan Matematik dalam bahasa Inggeris or “The Teaching and Learning of Science and Mathematics in English”. What this obviously implies is that everyone, regardless of background or first language, is, have been and will always be obligated to learn the two subjects, science and mathematics, in English.